Docker Containers can be stopped and started again. Changes made to the file system in a running container will survive this deliberate stop and start cycle. Data in memory and running processes obviously do not. A container that crashes cannot just be restarted and will have a file system in an undetermined state if it can be restarted. When you start a container after it was stopped, it will go through its full startup routine. If heavy duty processes needs to be started – such as a database server process – this startup time can be substantial, as in many seconds or dozens of seconds. Linux has a mechanism called CRIU or Checkpoint/Restore In Userspace. Using this tool, you can freeze a running application (or part of it) and checkpoint it as a collection of files on disk. You can then use the files to restore the application and run it exactly as it was during the time of the freeze. See https://criu.org/Main_Page for details. 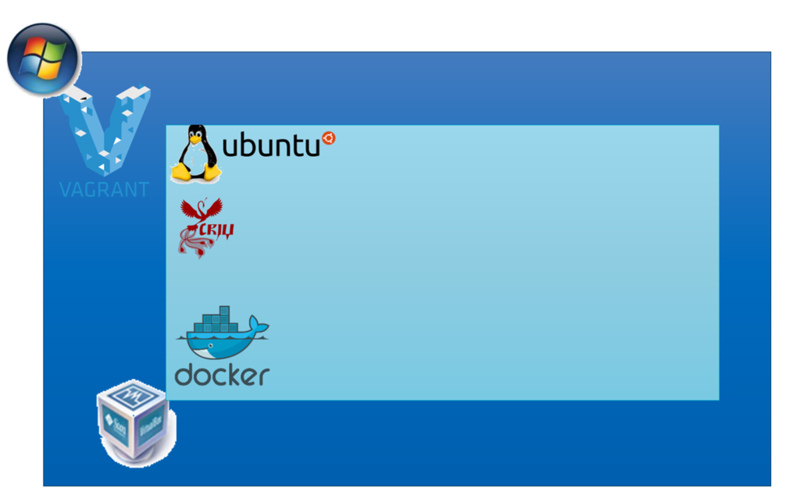 Docker CE has (experimental) support for CRIU. This means that using straightforward docker commands we can take a snapshot of a running container (docker checkpoint create <container name> <checkpointname>). 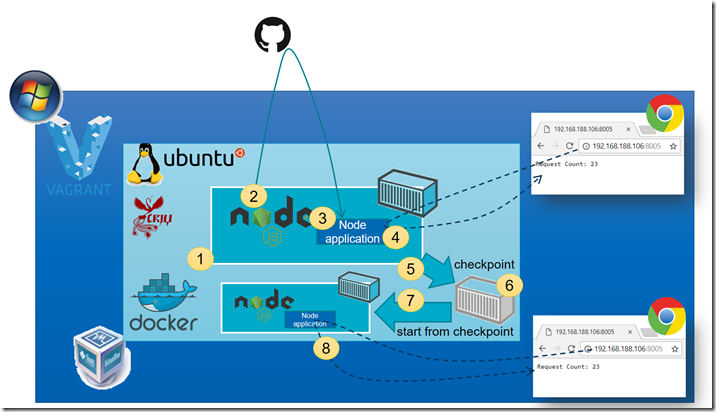 At a later moment, we can start this snapshot as the same container (docker start –checkpoint <checkpointname> <container name> ) or as a different container. The container that is started from a checkpoint is in the same state – memory and processes – as the container was when the checkpoint was created. Additionally, the startup time of the container from the snapshot is very short (subsecond); for containers with fairly long startup times – this rapid startup can be a huge boon. In this article, I will tell about my initial steps with CRIU and Docker. I got it to work. I did run into an issue with recent versions of Docker CE (17.12 and 18.x) so I resorted back to 17.04 of Docker CE. I also ran into an issue with an older version of CRIU, so I built the currently latest version of CRIU (3.8.1) instead of the one shipped in the Ubuntu Xenial 64 distribution (2.6). I will demonstrate how I start a container that clones a GitHub repository and starts a simple REST API as a Node application; this takes 10 or more seconds. This application counts the number of GET requests it handles (by keeping some memory state). After handling a number of requests, I create a checkpoint for this container. Next, I make a few more requests, all the while watching the counter increase. Then I stop the container and start a fresh container from the checkpoint. The container is running lightningly fast – within 700ms – so it clearly leverages the container state at the time of creating the snapshot. It continues counting requests at the point were the snapshot was created, apparently inheriting its memory state. Just as expected and desired. Note: a checkpoint does not capture changes in the file system made in a container. Only the memory state is part of the snapshot. Note 2: Kubernetes does not yet provide support for checkpoints. That means that a pod cannot start a container from a checkpoint. In a future article I will describe a use case for these snapshots – in automated test scenarios and complex data sets. ending up at the command prompt, ready for action. At the time of writing there is an issue with recent Docker version (at least 17.09 and higher – see https://github.com/moby/moby/issues/35691) and for that reason I downgrade to version 17.04 (as described here: https://forums.docker.com/t/how-to-downgrade-docker-to-a-specific-version/29523/4 ). Press CTRL+X, select Y and press Enter to save the new file. if experimental is indeed enabled. This installation results for me in version 2.6 of the CRIU package. For some actions that proves sufficient, and for others it turns out to be not enough. 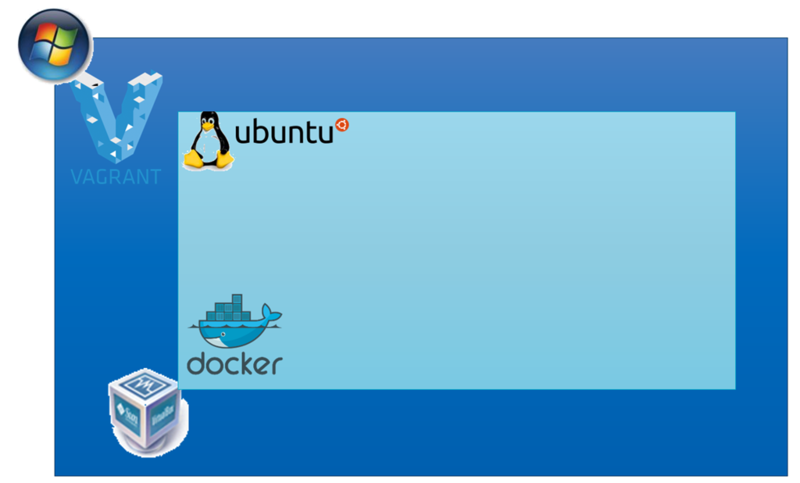 At this point we have Docker 17.04, Ubuntu 16.04 with CRIU 2.6. And that combination can give us a first feel for what the Docker Checkpoint mechanism entails. When I tried a more complex scenario (see next section) I ran into this issue. I could work around that issue by building the latest version of CRIU on my Ubuntu Docker Host. Here are the steps I went through to accomplish that – following these instuctions: https://criu.org/Installation. to see if the installation is successful. The final message printed should be: Looks Good (despite perhaps one or more warnings). to learn about the version of CRIU that is currently installed. Note: the CRIU instructions describe the following steps to install criu system wide. 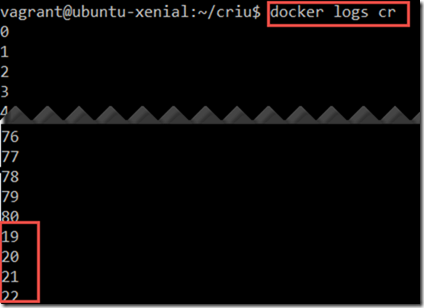 This does not seem to be needed in order for Docker to leverage CRIU from the docker checkpoint commands. Now we are ready to take on the more complex scenario that failed before with an issue in the older CRIU version. This scenario failed with the older CRIU version – probably because of this issue. I could work around that issue by building the latest version of CRIU on my Ubuntu Docker Host. It takes about 15 seconds for the application to start up and handle requests. Once the container is running, requests can be sent from outside the VM – from a browser running on my laptop for example – to be handled by the container, at http://192.168.188.106:8005/. It takes less than a second for the container to continue running. This is the next value starting at the state of the container that was captured in the snapshot. Note: because I make the GET request from the browser and the browser also tries to retrieve the favicon, the counter is increased by two for every single time I press refresh in the browser. The starting point: Windows laptop with Vagrant and Virtual Box. A VM has been created by Vagrant with Docker inside. The correct version of Docker and of the CRIU package have been set up. Also: on CRIU and Docker: https://yipee.io/2017/06/saving-and-restoring-container-state-with-criu/.